O.K. the little Treukes wend down well, I can always make more when required. Most of my ukes have pick-up systems in them, but occasionally I make one without, just pure sound. The pictures below are of a little beauty made in Madrone. This is a Califorian hardwood which makes good instruments with a somewhat flat and slightly pinkish appearence. Sounds good though. I have put a tasteful 1.8mm rosewood stripe as decoration and the rosette is my “query” type with a selection of shell discs. 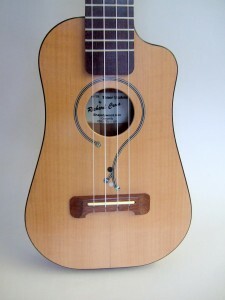 A lovely handmade tenor ukulele which will sell at £210 plus £10 P&P. A really nice instrument as you can see from the selection of pictures. There is only one! Here is a nice little bit of fun I have just made, I call it a “Treuke”. 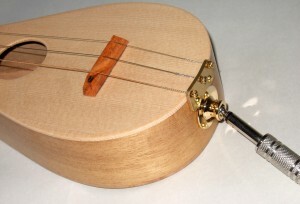 The ‘UKE’ bit comes from it being a soprano ukulele scale-length, and the ‘TRE’ bit is Welsh for three; there are three strings. 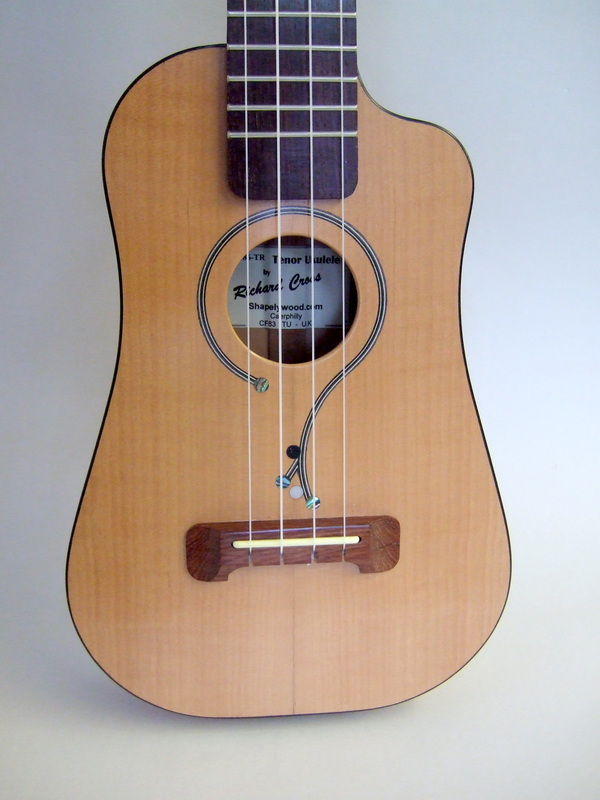 Tune it as a top three uke or an open ‘G’ or ‘D’ chord and you can have a lot of fun with this. I have also built in an Artec A1 pickup to compete with bigger instruments. The jack socket also works as a neck-strap fixing. There is only one of these at the moment. A nice little present and super value at £60, or make me a sensible offer. 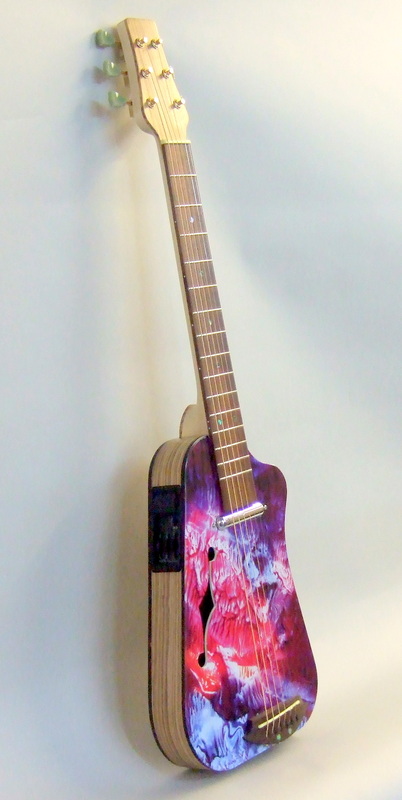 “Brainwaves” is based on the Leisa style but with an ‘F-hole’ and Artec lipstick pick-up. The usual FSE-TN provides the superb electrics. 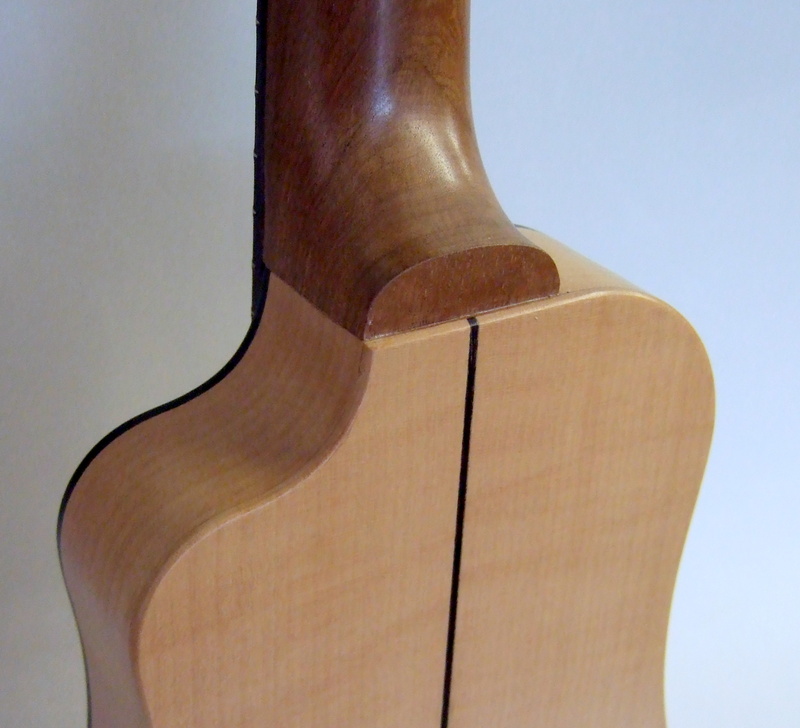 The body is a spruce top with striking zebrano back and sides. 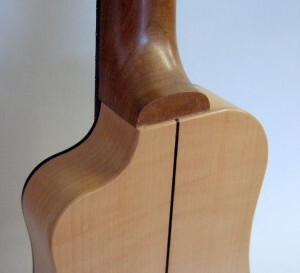 The neck is maple and the headstock has a zebrano veneer. The machine heads are vintage style. 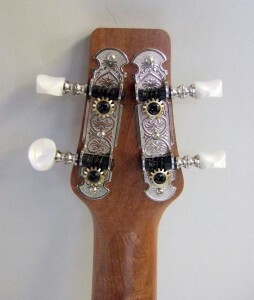 More photos and details of this lovely instrument can be obtained from me on request. Welcome to the new Shapelywood.com by Richard Cross. I am currently in the process of building a new website with new information about my instruments. Over the next few weeks you will begin to see more models appear on the website. Please feel free to use the contact form to request any additional information that you may want.